Many people set improving health as one of their goals for the new year. If that’s you, you may be wondering if the latest advances in genetic testing could guide your health care decisions. Should you have your DNA sequenced? What can genetic testing tell you about your current and future health? It can be difficult to sift through all of the information available about the role that genetics plays in health and disease on your own. 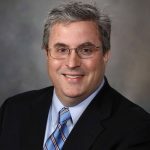 That's why Brendan Lanpher, M.D., assistant professor of Medical Genetics in the Mayo Clinic Center for Individualized Medicine, says it is critical to address these questions with your physician. “As genomic testing technology has advanced over the last decade, it has become much easier to test a large number of genes at once. The challenge is to interpret this data correctly and determine what variations are significant for guiding health care decisions. 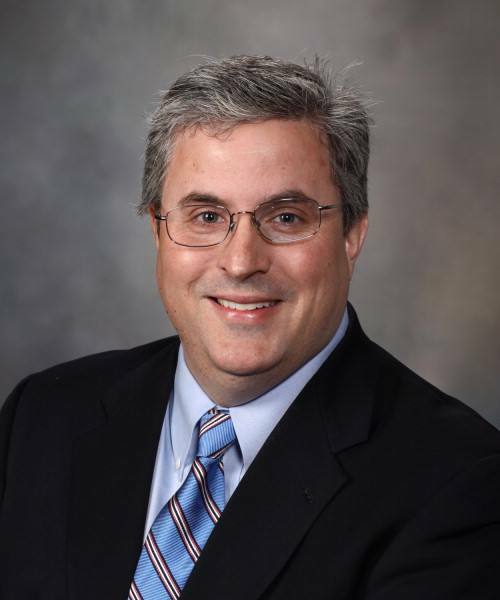 People seeking genetic testing should start by talking with their physician about whether genetic testing can help address a particular health question,” says Dr. Lanpher. In order to understand genetic testing, it is helpful to review what these tests are examining – our genes and our DNA. DNA, or deoxyribonucleic acid, is the material that makes up each of our genes and provides instructions for the body to make proteins and other important molecules that dictate how our body develops and functions. Each gene is spelled in a certain sequence. If there is a misspelling, duplication or deletion, it causes a change in the genetic structure, also called a genetic variation. These variations can cause a gene to stop functioning normally and can lead to the development of disease. Each of us has variations in our genes. Some of those variations appear to do nothing. Others make us appear unique – contributing to features such as eye, hair and skin color. But other variations affect how a gene works and can cause risk for disease. DNA sequencing tests identify these variations. “There are many different types of genetic tests – from whole exome sequencing which allows us to read through almost all of the genes to more targeted tests examining a smaller portion of genes. This is why it is so important to talk with your physician to determine which tests may help answer a critical health question for you,” says Dr. Lanpher. Who should talk with their physician about genetic testing? People with a set of undiagnosed symptoms that may be linked to a genetic cause. Individuals with a family history of genetic diseases who make want to seek genetic testing to identify risk of developing a condition or use the information for family planning. People with a family history of certain conditions – such as particular kinds of cancer and heart disease – in which a genetic link has been shown to increase the risk of developing the disease. People who have failed to respond to certain medications or have had severe side effects from medications. 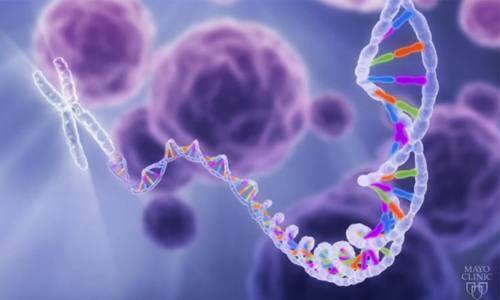 Genetic testing can be used to diagnose disease in just about every specialty within medicine. Diagnosis of rare diseases and undiagnosed disorders: Many rare diseases have underlying genetic causes. Patients undergo genetic testing to help identify the cause of unexplained health problems that have not been diagnosed using traditional screening tests. At Mayo, physicians are able to identify a diagnosis for approximately 30 percent of patients undergoing whole exome sequencing – the most comprehensive testing currently available. Certain types of cancer: Genetic testing may be able to pinpoint genetic variations within the cancer itself that can help identify new treatment options for these patients. Drug-gene testing, also known as pharmacogenomics: Each of us metabolizes or processes drugs differently. Patients undergo genetic testing for some drugs that are known to be impacted by a person’s genetic makeup. In these cases, genetic tests can predict the dose a patient will need or how likely they are to experience side effects from a medication. A critical component of undergoing genetic testing is having access to professionals that can accurately interpret the large amount of data that these tests provide. “Patients undergoing genetic testing in the Individualized Medicine Clinic have access to a team of physicians, geneticists, genetic counselors and scientists to help interpret their results. This team identifies if those results warrant a new treatment, further testing for the patient or testing for other family members,” explains Dr. Lanpher. Explain what information genetic tests can offer. Identify whether you need genetic testing. Help select the right genetic testing tools to address your health condition. Assist you in making decisions about your health based on your results, your current health condition and your family medical history. Dr. Lanpher believes that genetic testing will eventually become a routine part of a person’s medical examination. “We are learning more about genetic contributors to common diseases such as heart disease, depression and many types of cancer. As our knowledge grows, genetic testing will be used to help identify significant genetic variations and improve diagnosis, treatment and prevention of these conditions,” says Dr. Lanpher. You’ll want to save the date for the next Individualizing Medicine Conference. It is planned for Oct. 9-11, 2017.